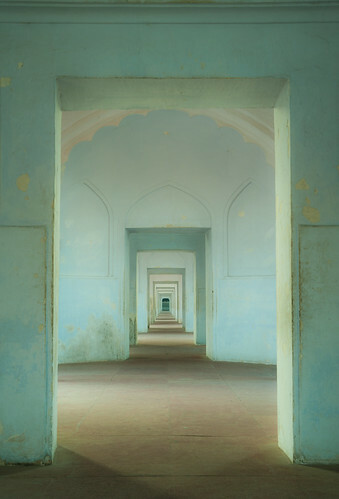 Along the perephery of Badshahi mosque in Lahore, Pakistan runs a passageway allowing visitors to admire the surrounding city. i had to wait for a while before i could get this shot clear of people because the mosque is quite a tourist hot spot. These passageways are also interesting because they demonstrate the whispering gallery effect at certain places and you can hear people from really far away... I thought it was pretty cool.